HARARE. – A virus of confusion is threatening to disable symbiotic operations within health insurance providers, while public health facilities face a probable paralysis worsened by aging equipment and perennial funding dehydration. While this unfolds, patients are in the cold as Cimas (medical insurer) refuses to remunerate physicians who failed to register with their regulatory body by June 30, 2015. Doctors now demand cash for treatment, prejudicing paid up insurance clients. Information sifted from sources say, Cimas patients have been officially sidelined by the physician umbrella body in a communiqué directed to major medical centres. Corporate 24, a medical provider deems a manoeuvre by the insurer to discontinue due payments forces patients to abandon their services and opt for Cimas-controlled institutions. While Cimas insists there are disputed and fraudulent claims that they will not settle – Corporate 24 has threatened the legal option if the claims are found to be groundless. This scenario is a repetition of 2012, when similar challenges plagued the entity rendering clients to pay cash up front. The judicious intercession by a competition commission unearthed “restrictive practices” by the medical insurer. Cimas membership has remained stagnant by the close of 2014. The group announced a 30 percent rise on some underperforming packages. The entry of other players in the medical business has unlocked stiff competition in the industry. Rivalry has emanated from other players in the banking and telecommunications sectors. These actors moved swiftly into the medical insurance business historically reserved for a few medical aid societies. Though Cimas recorded a sizeable profit, this figure has been trivial due to defaulting member firms who have not serviced their debts for lengthy periods – possibly due to the prevailing economic impasse in Harare. 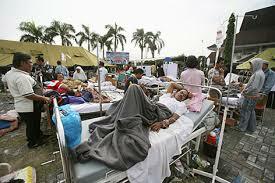 Many patients continue to seek assistance at public health institutions that are bleeding due to dwarfed funding. And some have privatised their operations leaving patients to pay more. 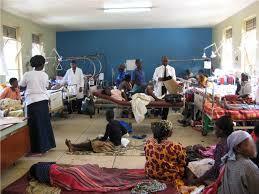 Private health insurance in Africa only caters for a minority, while the rest rely on government hospitals. South Africa's multi-billion rand medical aid industry came into focus in 2011 as the Hawks investigated two medical insurance entities Hosmed and Commed who purportedly connived with officials from the regulator, the Council for Medical Schemes (CMS), to swindle medical aid members thus increasing medical costs bills. Bribes are allegedly to have exchanged hands to retain contracts. Pretoria’s government hospitals still charge a nominal fee and remain the sole preference for the deprived majority. In 2014, Harare medical aid societies were lambasted for allegedly discriminating against the ageing population, vetoing them from joining medical aid schemes. In some cases, free procedures such as prostate enlargements took in excess of four months to be administered. Most elderly pay cash as most medical aid schemes seldom covers them.